Start off your visit on the 23rd (Sun): look for gifts at Sydney Fish Market, enjoy some music at Sydney Opera House, then tour the pleasant surroundings at The Opera House to the Botanic Gardens Walk, and finally appreciate the extensive heritage of The Rocks. Here are some ideas for day two: kick back and relax at Bondi Beach, then trek along Bondi to Coogee Beach Coastal Walk, then tour the pleasant surroundings at Coogee Beach, and finally kick back and relax at Clovelly. Manila, Philippines to Sydney is an approximately 11-hour combination of bus and flight. You'll lose 2 hours traveling from Manila to Sydney due to the time zone difference. Traveling from Manila in December, things will get a bit cooler in Sydney: highs are around 32°C and lows about 21°C. 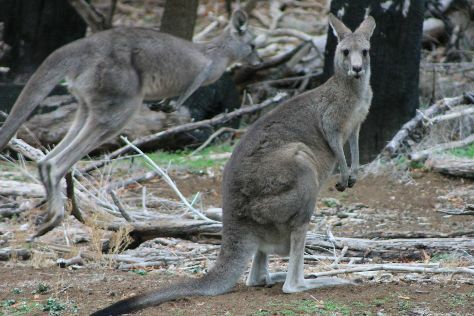 Finish up your sightseeing early on the 24th (Mon) so you can travel to Blue Mountains National Park. This is the official community page for Blue Mountains National Park. 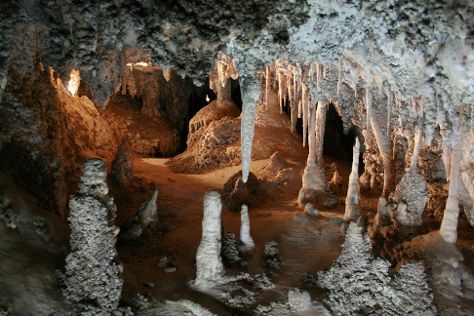 On the 25th (Tue), look for gifts at The Nook and then explore the fascinating underground world of Jenolan Caves. Here are some ideas for day two: stop by Cabin & Co, browse the exhibits of Keith Rowe Gallery, then stop by Victory Theatre Antique Centre, then get to know the fascinating history of The National Pass, and finally look for gifts at Rick Rutherford's Country. Start your trip to Blue Mountains National Park by creating a personalized itinerary on Inspirock. Getting from Sydney to Blue Mountains National Park by car takes about 2.5 hours. Expect a daytime high around 34°C in December, and nighttime lows around 19°C. Finish up your sightseeing early on the 26th (Wed) so you can travel to Apollo Bay. Apollo Bay is a coastal town in southwestern Victoria, Australia. 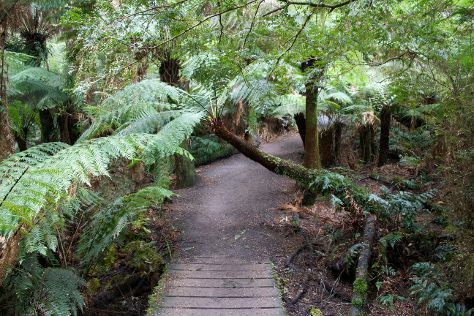 Start off your visit on the 27th (Thu): trek along Great Ocean Walk, then stop by Karmic Goat Soapworks, and then delve into the lush surroundings at Mait's Rest. For where to stay, other places to visit, reviews, and tourist information, use the Apollo Bay trip planner . Explore your travel options from Blue Mountains National Park to Apollo Bay with the Route module. Finish your sightseeing early on the 27th (Thu) to allow enough time to drive to Princetown. On the 28th (Fri), get some fabulous bargains at Apostle Whey Cheese, then explore and take pictures at Twelve Apostles, and then get great views at Loch Ard Gorge. To see reviews, more things to do, ratings, and tourist information, refer to the Princetown day trip planning app . Drive from Apollo Bay to Princetown in 1.5 hours. Alternatively, you can take a bus. Finish your sightseeing early on the 28th (Fri) to allow enough time to travel to Warrnambool. Warrnambool is a regional centre and former port city on the south-western coast of Victoria, Australia. Start off your visit on the 29th (Sat): step off the mainland to explore Griffiths Island, view the masterpieces at Whale Bone Studio Arts, take in the exciting artwork at Blarney Books and Art, then contemplate the geological forces at Tower Hill Wildlife Reserve, and finally grab your bike and head to Foreshore Promenade. To see maps, traveler tips, reviews, and tourist information, use the Warrnambool trip builder site . Traveling by combination of taxi and bus from Princetown to Warrnambool takes 1.5 hours. Alternatively, you can drive; or take a bus. Wrap up your sightseeing on the 29th (Sat) to allow time to travel to Melbourne. Kick off your visit on the 30th (Sun): stop by Yarra Valley Chocolaterie & Ice Creamery, take a stroll through Melbourne Central, and then wander the streets of Degraves Street. 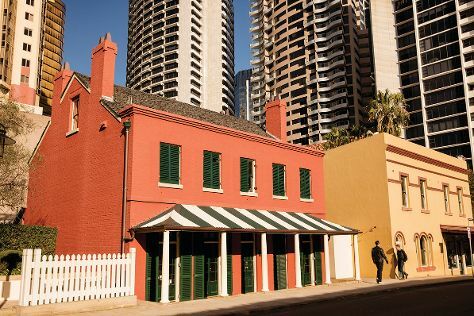 On the next day, contemplate the long history of Old Melbourne Gaol, then admire the natural beauty at Royal Botanic Gardens, and then look for gifts at Lightning Ridge Opal Mines. 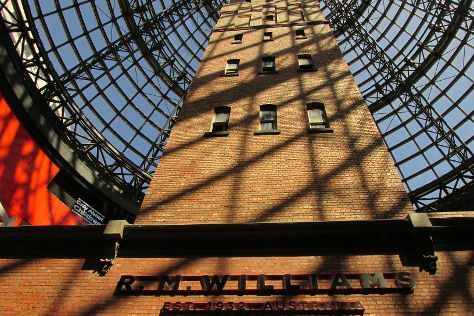 To find reviews, more things to do, photos, and more tourist information, read our Melbourne road trip planning tool . Traveling by flight from Warrnambool to Melbourne takes 2.5 hours. Alternatively, you can drive; or take a train. In December in Melbourne, expect temperatures between 30°C during the day and 14°C at night. Wrap up your sightseeing on the 31st (Mon) to allow time to travel to Cairns. 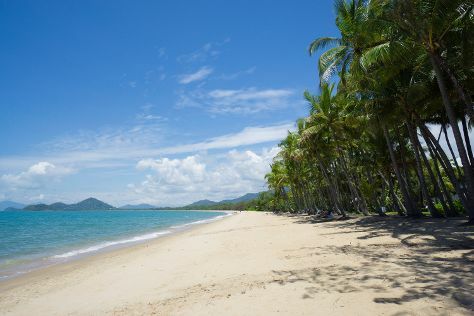 Kick off your visit on the 1st (Tue): look for all kinds of wild species at Australian Butterfly Sanctuary, tour the pleasant surroundings at Trinity Beach, and then kick back and relax at Palm Cove Beach. Here are some ideas for day two: see some colorful creatures with a scuba or snorkeling tour. You can fly from Melbourne to Cairns in 5 hours. Other options are to drive; or take a train. Traveling from Melbourne in December, things will get somewhat warmer in Cairns: highs are around 36°C and lows about 26°C. Finish up your sightseeing early on the 2nd (Wed) so you can travel back home.